Downes, B. J., Barmuta, L. A., Fairweather, P. G., Faith, D. P., Keough, M. J., Lake, P. S., Mapstone, B. D., & Quinn, G. P. (2002). Assessing ecological impacts. Applications in flowing waters. Cambridge: Cambridge University Press. Quinn, G. P., & Keough, M. J. (2002). Experimental design and data analysis for biologists. Cambridge: Cambridge University Press, 537 pp. Keough, M. J., & Swearer, S. E. (2007). Early life histories of marine invertebrates and fishes. In S. D. Connell & B. M. Gillanders (Eds. ), Marine Ecology (pp. 17-46). Melbourne: Oxford University Press, 17-46 pp. Carey, J. M., & Keough, M. J. (2002). Compositing and subsampling to reduce costs and improve power in benthic infaunal monitoring programs. Estuaries, 25, 1052-1060. Carey, J. M., & Keough, M. J. (2002). The variability of estimates of variance, and its effect on power analysis in monitoring design. Environmental Monitoring & Assessment, 74(3), 225-241. Hindell, J. S., Jenkins, G. P., & Keough, M. J. (2002). Variability in the numbers of post-settlement King George whiting (Sillaginidae: Sillaginodes punctata, Cuvier) in relation to predation, habitat complexity and artificial cage structure. Journal of Experimental Marine Biology and Ecology, 268, 13-31. Holloway, M. G., & Keough, M. J. (2002). 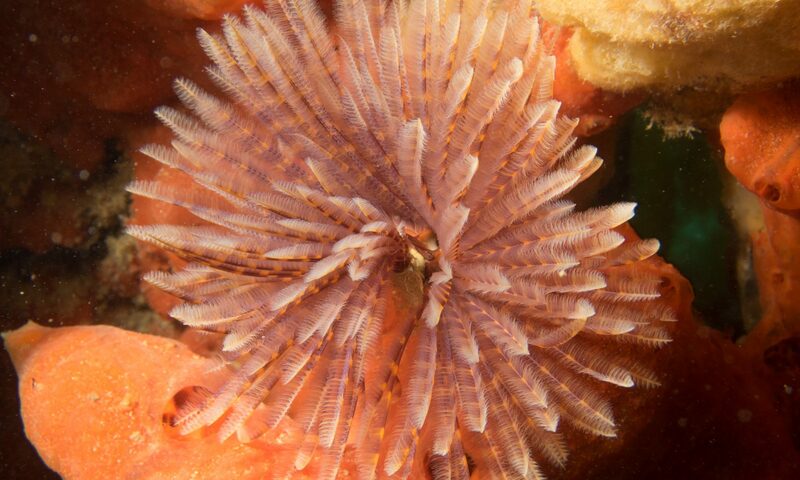 Effects of an introduced polychaete, Sabella spallanzanii, on the development of epifaunal assemblages. Marine Ecology Progress Series, 236, 137-154. Holloway, M. G., & Keough, M. J. (2002). An introduced polychaete affects recruitment and larval abundance of sessile invertebrates. Ecological Applications, 12(6), 1803-1823. Johnston, E. L., & Keough, M. J. (2002). Direct and indirect effects of repeated pollution events on marine hard-substrate assemblages. Ecological Applications, 12(4), 1212-1228. Johnston, E. L., Keough, M. J., & Qian, P. Y. (2002). Maintenance of species dominance through pulse disturbances to a sessile marine invertebrate assemblage in Port Shelter, Hong Kong. Marine Ecology Progress Series, 226, 103-114. Marshall, D. J., Styan, C. A., & Keough, M. J. (2002). Sperm environment affects offspring quality in broadcast spawning marine invertebrates. Ecology Letters, 5(2), 173-176. Morris, L., & Keough, M. J. (2002). Organic pollution and its effects: a short-term transplant experiment to assess the ability of biological endpoints to detect change in a soft sediment environment. Marine Ecology Progress Series, 225, 109-121. Webb, J. A., & Keough, M. J. (2002). Measurement of environmental trace-metal levels with transplanted mussels and diffusive gradients in thin films (DGT): a comparison of techniques. Marine Pollution Bulletin, 44(3), 222-229. Webb, J. A., & Keough, M. J. (2002). Measurement of field doses of copper from antifouling compounds using diffusive gradients in thin films (DGT). Science of the Total Environment, 298, 207-217. Hindell, J. S., Jenkins, G. P., Moran, S. M., & Keough, M. J. (2003). Swimming ability and behaviour of post-larvae of a temperate marine fish re-entrained in the pelagic environment. Oecologia, 135, 158-166. Johnston, E. L., & Keough, M. J. (2003). Competition modifies the response of organisms to toxic disturbance. Marine Ecology Progress Series, 251, 15-26. Johnston, E. L., Webb, J. A., & Keough, M. J. (2003). Pulse disturbances to the colonization of hard-substrates and in situ determination of Copper using Diffusive Gradients in Thin-films (DGT): quantifying dose and response in the field. Biofouling, 19, 335-345. Linacre, N., & Keough, M. J. (2003). Demographic effects of fragmentation history in modular organisms: illustrated using the bryozoan Mucropetraliella ellerii (MacGillivray). Ecological Modelling, 170, 61-71. Marshall, D. J., Bolton, T. F., & Keough, M. J. (2003). Offspring size affects the post-metamorphic performance of a colonial marine invertebrate. Ecology, 84, 3131-3137. Marshall, D. J., & Keough, M. J. (2003). Effects of settler size and density on early post-settlement survival of Ciona intestinalis in the field. Marine Ecology Progress Series, 259, 139-144. Marshall, D. J., & Keough, M. J. (2003). Sources of variation in larval quality for free-spawning marine invertebrates: egg size and the local sperm environment. Invertebrate Reproduction and Development, 44, 63-70. Marshall, D. J., & Keough, M. J. (2003). Variation in the dispersal potential of non-feeding larvae: the desperate larva hypothesis and larval size. Marine Ecology Progress Series, 255, 145-153. Marshall, D. J., Pechenik, J. A., & Keough, M. J. (2003). Larval activity levels and delayed metamorphosis affect post-larval performance in the colonial ascidian Diplosoma listerianum. Marine Ecology Progress Series, 246, 153-162. Moran, S. M., Jenkins, G. P., Keough, M. J., & J.S., H. (2003). The role of physical disturbance in structuring assemblages of fish in seagrass beds in Port Phillip Bay, Australia. Marine Ecology Progress Series, 251, 127-139. Morris, L., & Keough, M. J. (2003). Testing the effects of nutrient additions on mudflat macroinfaunal assemblages in the presence and absence of shorebird predators. Marine and Freshwater Research, 54, 859-874. Morris, L., & Keough, M. J. (2003). Variation in the response of intertidal infaunal invertebrates to nutrient additions: field manipulations at two sites within Port Phillip Bay, Australia. Marine Ecology Progress Series, 250, 35-49. Ng, T. Y.-T., & Keough, M. J. (2003). Delayed effects of larval exposure to Cu in the bryozoan Watersipora subtorquata. Marine Ecology Progress Series, 257, 77-85. Hewitt, C. L., Campbell, M. L., Thresher, R. E., Martin, R. B., Boyd, S., Cohen, B. F., Currie, D. R., Gomon, M. F., Keough, M. J., Lewis, J. A., Lockett, M. M., Mays, N., McArthur, M. A., O’Hara, T. D., Poore, G. C. B., Ross, D. J., Storey, M. J., Watson, J. E., & Wilson, R. S. (2004). Introduced and cryptogenic species in Port Phillip Bay, Victoria, Australia. Marine Biology, 144, 183-202. Hutson, K. S., Styan, C. A., Beveridge, I., Keough, M. J., Zhu, X. Q., El-Osta, Y. G. A., & Gasser, R. B. (2004). Elucidating the ecology of bucephalid parasites using a mutation scanning approach. Molecular and Cellular Probes, 18, 139-146. Marshall, D. J., & Keough, M. J. (2004). Variable effects of larval size on post-metamorphic performance in the field. Marine Ecology-Progress Series, 279, 73-80. Marshall, D. J., & Keough, M. J. (2004). When the going gets rough: effect of maternal size manipulation on larval quality. Marine Ecology Progress Series, 272, 301-305. Moran, S. M., Jenkins, G. P., Keough, M. J., & Hindell, J. S. (2004). Evidence for secondary planktonic transport of post-larvae of a seagrass-associated fish. Journal of Fish Biology, 64, 1226-1241. Moran, S. M., Jenkins, G. P., Keough, M. J., & Hindell, J. S. (2004). The small-scale dynamics of secondary dispersal in a seagrass associated fish. A caging study. Marine Ecology Progress Series, 272, 271–280. Bone, E. K., & Keough, M. J. (2005). Responses to damage in an arborescent bryozoan: Effects of injury location. Journal of Experimental Marine Biology & Ecology, 324, 127-140. Johnston, E. L., & Keough, M. J. (2005). Reduction of pollution impacts through the control of toxicant release rate must be site and season specific Journal of Experimental Marine Biology and Ecology, 320, 9-33. Marshall, D. J., & Keough, M. J. (2005). Offspring size effects in the marine environment: a field test for a colonial marine invertebrate. Austral Ecology, 30, 275-280. Mackie, J. A., Keough, M. J., & Christidis, L. (2006). Invasion patterns inferred from cytochrome oxidase I sequences in three bryozoans, Bugula neritina, Watersipora subtorquata, and Watersipora arcuata. Marine Biology, 149, 285-295. Macreadie, P. I., Ross, D. J., Longmore, A. R., & Keough, M. J. (2006). Denitrification measurements of sediments using cores and chambers. Marine Ecology-Progress Series, 326, 49-59. Macreadie, P. I., Ross, J. D., Longmore, A. R., & Keough, M. J. (2006). Measuring sediment denitrification. Marine Ecology Progress Series, 326, 49-59. Marshall, D. J., & Keough, M. J. (2006). Complex life cycles and offspring provisioning in marine invertebrates. Integrative and Comparative Biology, 46, 643-651. O’Brien, A. L., Ross, D. J., & Keough, M. J. (2006). Effects of Sabella spallanzanii physical structure on soft sediment macrofaunal assemblages. Marine and Freshwater Research, 57, 363-371. Ross, D. J., Keough, M. J., Longmore, A. R., & Knott, N. A. (2007). Impacts of two introduced suspension feeders in Port Phillip Bay, Australia. Marine Ecology-Progress Series, 340, 41-53. Sams, M. A., & Keough, M. J. (2007). Predation during early post-settlement varies in importance for shaping marine sessile communities. Marine Ecology Progress Series, 348, 85-101. Addison, P. F. E., Knott, N. A., & Keough, M. J. (2008). Spatially variable effects of copper on sessile invertebrates across a marina. Journal of Experimental Marine Biology and Ecology, 364, 19-23. Marshall, D. J., & Keough, M. J. (2008). The evolutionary ecology of offspring size in marine invertebrates. Advances in Marine Biology 53, 1-60. Marshall, D. J., & Keough, M. J. (2008). The relationship between offspring size and performance in the sea. American Naturalist, 171, 214-224. Hart, S. P., & Keough, M. J. (2009). Does size predict demographic fate? Modular demography and constraints on growth determine response to decreases in size. Ecology, 90, 1670-1678. Macreadie, P. I., Hindell, J. S., Jenkins, G. P., Connolly, R. M., & Keough, M. J. (2009). Fish Responses to Experimental Fragmentation of Seagrass Habitat. Conservation Biology, 23, 644-652. O’Brien, A. L., Volkenborn, N., van Beusekom, J., Morris, L., & Keough, M. J. (2009). Interactive effects of porewater nutrient enrichment, bioturbation and sediment characteristics on benthic assemblages in sandy sediments. Journal of Experimental Marine Biology and Ecology, 371, 51-59. Bone, E. K., & Keough, M. J. (2010). Competition may mediate recovery from damage in an encrusting bryozoan. Marine Ecology-an Evolutionary Perspective, 31, 439-446. Bone, E. K., & Keough, M. J. (2010). Does Polymorphism Predict Physiological Connectedness? A Test Using Two Encrusting Bryozoans. Biological Bulletin, 219, 220-230. Costa, T. L., O’Hara, T. D., & Keough, M. J. (2010). Measures of taxonomic distinctness do not reliably assess anthropogenic impacts on intertidal mollusc communities. Marine Ecology-Progress Series, 413, 81-93. Macreadie, P. I., Connolly, R. M., Jenkins, G. P., Hindell, J. S., & Keough, M. J. (2010). Edge patterns in aquatic invertebrates explained by predictive models. Marine and Freshwater Research, 61, 214-218. Macreadie, P. I., Connolly, R. M., Keough, M. J., Jenkins, G. P., & Hindell, J. S. (2010). Short-term differences in animal assemblages in patches formed by loss and growth of habitat. Austral Ecology, 35, 515-521. Macreadie, P. I., Hindell, J. S., Keough, M. J., Jenkins, G. P., & Connolly, R. M. (2010). Resource distribution influences positive edge effects in a seagrass fish. Ecology, 91, 2013-2021. Marshall, D. J., Monro, K., Bode, M., Keough, M. J., & Swearer, S. (2010). Phenotype-environment mismatches reduce connectivity in the sea. Ecology Letters 13, 128-140. O’Brien, A. L., Morris, L., & Keough, M. J. (2010). Multiple sources of nutrients add to the complexities of predicting marine benthic community responses to enrichment. Marine and Freshwater Research, 61, 1388-1398. Smith, T. M., Hindell, J. S., Jenkins, G. P., Connolly, R. M., & Keough, M. J. (2011). Edge effects in patchy seagrass landscapes: The role of predation in determining fish distribution. Journal of Experimental Marine Biology and Ecology, 399, 8-16. Smith, T. M., Hindell, J. S., Jenkins, G. P., Connolly, R. M., & Keough, M. J. (2011). Fine-scale spatial and temporal variations in diets of the pipefish Stigmatopora nigra within seagrass patches. Journal of Fish Biology, 78, 1824-1832. Banks, J., Ross, D. J., & Keough, M. J. (2012). Short-term (24 h) effects of mild and severe hypoxia (20% and 5% dissolved oxygen) on metal partitioning in highly contaminated estuarine sediments. Estuarine Coastal and Shelf Science, 99, 121-131. Banks, J., Ross, D. J., Keough, M. J., MacLeod, C. K., & Eyre, B. D. (2012). Influence of small scale environmental patchiness on the resilience of nutrient cycling and denitrification to extended hypoxia (40 days) in estuarine sediments. Marine Ecology Progress Series, 453, 49-62. Banks, J. L., Ross, D. J., Keough, M. J., Eyre, B. D., & Macleod, C. K. (2012). Measuring hypoxia induced metal release from highly contaminated estuarine sediments during a 40 day laboratory incubation experiment. Science of the Total Environment, 420, 229-237. O’Brien, A. L., & Keough, M. J. (2012). Understanding benthic community responses to pollution in estuaries. Environmental Pollution, In press. Ross, D. J., Longmore, A. R., & Keough, M. J. (2012). Spatially variable effects of a marine pest on ecosystem function. Oecologia. Sams, M. A., & Keough, M. J. (2012). Contrasting effects of variable species recruitment on marine sessile communities. Ecology, 93, 1153-1163. Sams, M. A., & Keough, M. J. (2012). Effects of pulse vs. steady recruitment on sessile marine communities. Oecologia 170, 209-219. Sherman, C. D. H., Stanley, A. M., Keough, M. J., Gardner, M. G., & Macreadie, P. I. (2012). Development of twenty-three novel microsatellite markers for the seagrass, Zostera muelleri from Australia. Conservation Genetics Resources, 4, 689-693. Fitridge, I., Keough, M.J. (2013). Ruinous resident: The hydroid Ectopleura crocea negatively affects suspended culture of the mussel Mytilus galloprovincialis. Biofouling 29, 119-131. Sams, M.A., Keough, M.J. (2013). Effects of early recruits on temperate sessile marine community composition depend on other species recruiting at the time. Oecologia in press. Date of acceptance 7 Jan 2013. Banks, J., Ross, D.J., Keough, M.J., Macleod, C.K., Keane, J. and Eyre, B. (2013). Influence of a burrowing, metal-tolerant polychaete on benthic metabolism, denitrification and nitrogen regeneration in contaminated estuarine sediments. Marine Pollution Bulletin 68, 30-37. Smith, T.M., York, P,H., Stanley, A.M., Macreadie, P.I., Keough, M.J., Ross, D.J. and Sherman, C.D. (2013). Microsatellite primer development for the seagrass Zostera nigricaulis (Zosteraceae). Conservation Genetics Resources, 5, 607-10. Sams, M.A., Keough, M.J. (2013). Early recruitment variation and an established dominant alter the composition of a temperate fouling community. Marine Ecology Progress Series, 486: 79-91. Abell, G. C. J., D. J. Ross, J. Keane, B. H. Holmes, S. S. Robert, M. J. Keough, B. D. Eyre, and J. K. Volkman. 2014. Niche Differentiation of Ammonia-Oxidising Archaea (AOA) and Bacteria (AOB) in Response to Paper and Pulp Mill Effluent. Microbial Ecology 67:758-768. Carnell, P. E., and M. J. Keough. 2014. Spatially variable synergistic effects of disturbance and additional nutrients on kelp recruitment and recovery. Oecologia 175:409-416. Crockett, P. F., and M. J. Keough. 2014. Ecological niches of three abundant Caulerpa species in Port Phillip Bay, southeast Australia. Aquatic Botany 119:120-131. Macreadie, P. I., P. H. York, C. D. H. Sherman, M. J. Keough, D. J. Ross, A. M. Ricart, and T. M. Smith. 2014. No detectable impact of small-scale disturbances on ‘blue carbon’ within seagrass beds. Marine Biology 161:2939-2944. O’Brien, A. L., and M. J. Keough. 2014. Ecological responses to contamination: A meta-analysis of experimental marine studies. Environmental Pollution 195:185-191. Sams, M. A., F. Warren-Myers, and M. J. Keough. 2015. Increased larval planktonic duration and post-recruitment competition influence survival and growth of the bryozoan Watersipora subtorquata. Marine Ecology Progress Series 531:179-191. Sievers, M., T. Dempster, I. Fitridge, and M. J. Keough. 2014. Monitoring biofouling communities could reduce impacts to mussel aquaculture by allowing synchronisation of husbandry techniques with peaks in settlement. Biofouling 30:203-212. Thomson, A. C. G., P. H. York, T. M. Smith, C. D. H. Sherman, D. J. Booth, M. J. Keough, D. J. Ross, and P. I. Macreadie. 2015. Seagrass viviparous propagules as a potential long-distance dispersal mechanism. Estuaries and Coasts 38:927-940. Mackie, J. A., Keough, M. J., Norman, J. A., & Christidis, L. (2002). Mitochondrial evidence of geographical isolation within Bugula dentata Lamouroux. In Anon. (Ed. ), Proceedings of the 12th International Bryozoology Conference. Rotterdam: A. A. Balkema.